Proudly serving Alpharetta, Roswell, Sandy Springs, Marietta, Canton, Woodstock and all throughout Atlanta, Georgia's northern perimeter. 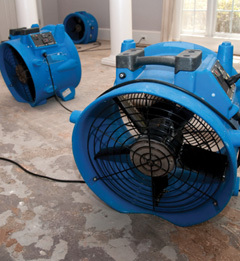 Has your home or business been a victim of a disaster that inflicted water damage, flood water damage, fire damage, smoke, mold, or odor damage? Pro-Tech Restoration Services is here to help you no matter what the time, or day, with 24/7 service in Alpharetta, Roswell, Sandy Springs, Marietta, Canton, Woodstock, and all throughout Atlanta, Georgia's northern perimeter. We have the qualifications needed to assist you in all your disaster/damage restoration needs. Pro-Tech Restoration Services is a fully licensed & insured restoration contractor that specializes in water damage, flood damage, fire, and smoke damage restoration, as well as air quality control, air duct cleaning, and mold remediation/ testing. Pro-Tech Restoration Serives is a Georgia State Certified General Contractor (Lic#GCCOØØ4537), and is certified by the IICRC (The Institute of Inspection, Cleaning and Restoration Certification) in Water Damage Restoration, Fire and Smoke Damage Restoration, Odor Control, Applied Structural Drying, and Carpet Cleaning. We are also certified by the ACAC (formerly the American Indoor Air Quality Council)as a Certified Microbial Remediation Supervisor. We understand how stressful this can be. We strive to assist, not only in restoring what was damaged, but to make the entire process from the first phone call seeking help to filing the paperwork required for your insurance claims, as easy as possible. We are here for you, your family and your business in Alpharetta, Roswell, Sandy Springs, Marietta, Canton, Woodstock, and all throughout Atlanta, Georgia's northern perimeter. When extensive and debilitating damages occur to your north Georgia home or business, a few things that run through your mind may be "Will my home/business ever be the same?" and "How much of this will my insurance cover?" Right from the start, Pro-Tech Restoration Services understands your concerns. In order to ease your mind, we have implemented the same estimating software most of the insurance companies and adjusters. By starting in the beginning using the same software your insurance company may use, we alleviate much of the hidden and unseen circumstances that can potentially lead to more stress with your claim. The restoration of your Atlanta area property from water, flood water, moisture, mold, or fire damage, begins with having comprehensive and accurate information. Pro-Tech Restoration Services utilizes the latest, most innovative equipment, products and processes available. Our accomplished technicians and craftspeople approach each restoration with the utmost care and responsibility, while allowing you to feel confident in your decision to place your most valuable asset into our care.